It was used as a spacer of the bearing part of the caster tire. It is a dose and price excellent in cost performance. We are able to fulfill the function sufficiently while being small. This review is about item#5530375. Because M16 is not used so much, it was good just in quantity. There is no problem at all for use. This review is about item#5530357. It was easy to use and suitable for electronic work. Because it is inexpensive and quality is also good, I would like to purchase again. Thank you very much. This review is about item#5530287. It is much better than COSPA to purchase at home center. It worked with good quality products without burr distortion. It is used to exchange molds. It was cheaper than the home center, so I will also buy it next time. This review is about item#05530357. It is solid and the country is not immediately in the country size. Shipping on that day is appreciated. This review is about item#05530323. I am saved because I can not get it in my neighborhood! There is nothing to use in large quantities at once, so if you can order more in smaller quantities you do not have to waste inventory. This review is about item#05530287. 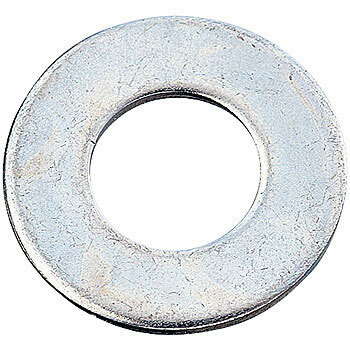 Since small washers are not sold at home centers etc., it is difficult to obtain them but it is extremely helpful to sell them by subdivision. Actually using it is very good with feeling that the finish of motorcycle and car has upgraded one rank. This review is about item#05530375. Just a good size is fine. This review is about item#05530296.